Not sure which of our delicious flavoured bars to sample.. why not try them all!! 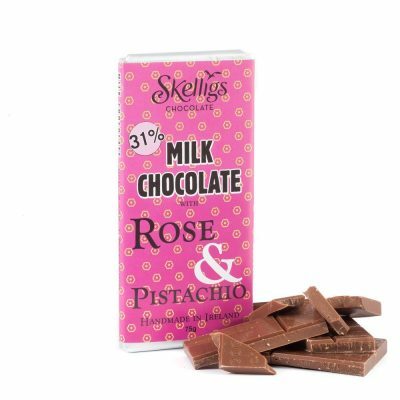 These contemporary, brightly designed chocolate bars are always well received. The perfect taster pack. If you don’t start nibbling they will last 10 months. 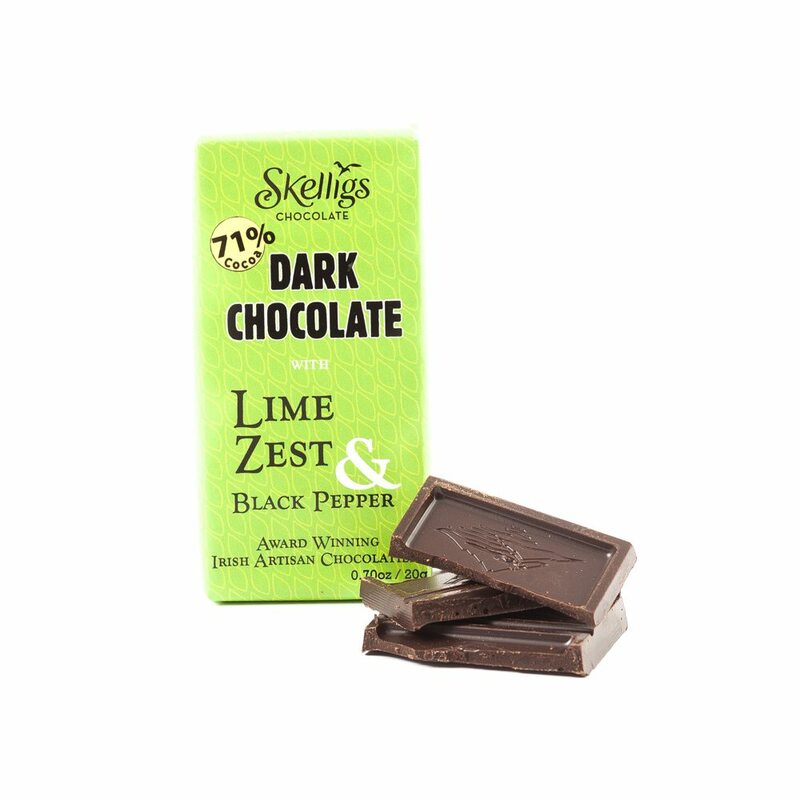 Gin & Tonic Bar: Dark chocolate [cocoa mass(68.5%), sugar(26.5%), fat-reduced cocoa powder(4.5%), emulsifier; soya lecithin, natural vanilla flavouring] juniper berries(2%), dried limes(1%) Lime oil(1%). Min cocoa solids 71%. 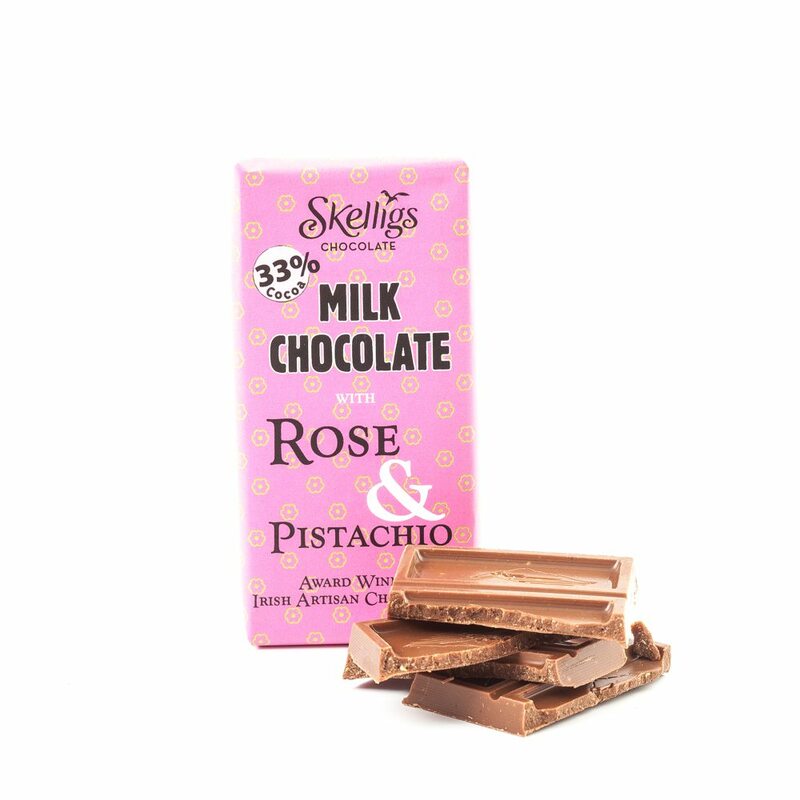 Rose & Pistachio Bar: Milk chocolate [sugar (42%), cocoa butter(24%), whole milk powder(22.5%), cocoa mass(11.5%) emulsifier; soya lecithin, natural vanilla] crushed pistachio nuts(9%), essential oil of rose(<1%). Min cocoa solids 33%. 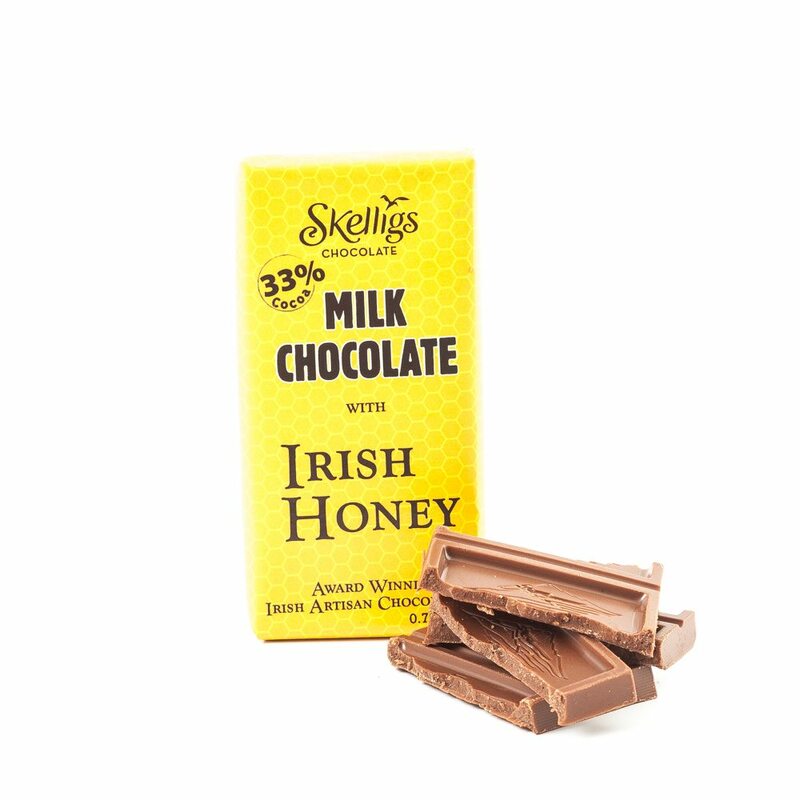 Irish Honey Bar: Milk chocolate [sugar (42%), cocoa butter(24%), whole milk powder(22.5%), cocoa mass(11.5%) emulsifier; soya lecithin, vanilla] Irish Honey (4%). Min cocoa solids 33%. 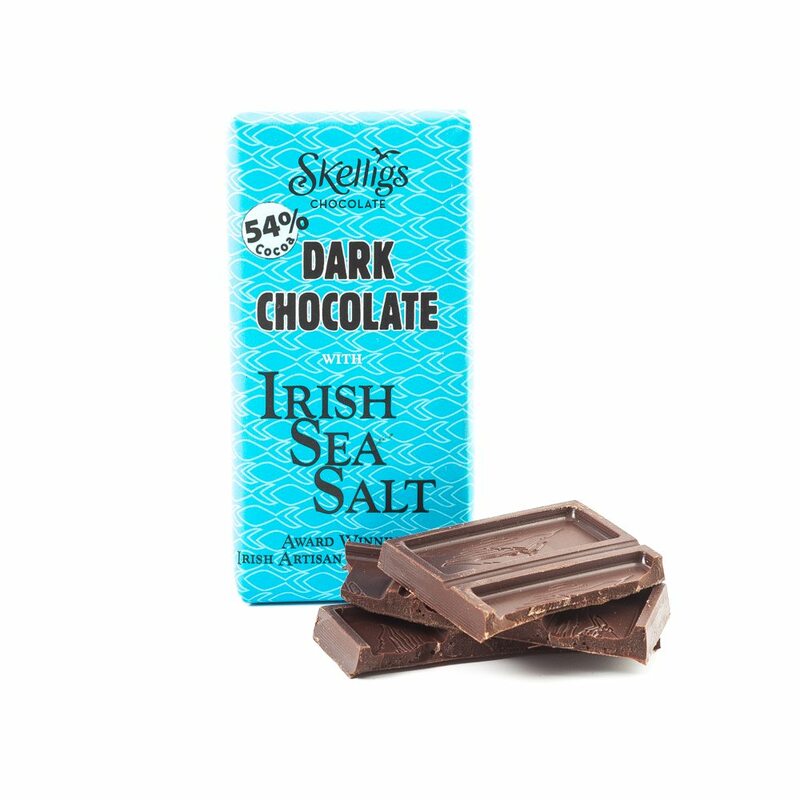 Sea Salt Bar: Dark chocolate [cocoa mass(44%), sugar(44%), cocoa butter(12%), emulsifier; soya lecithin, natural vanilla] sea salt (0.6%). 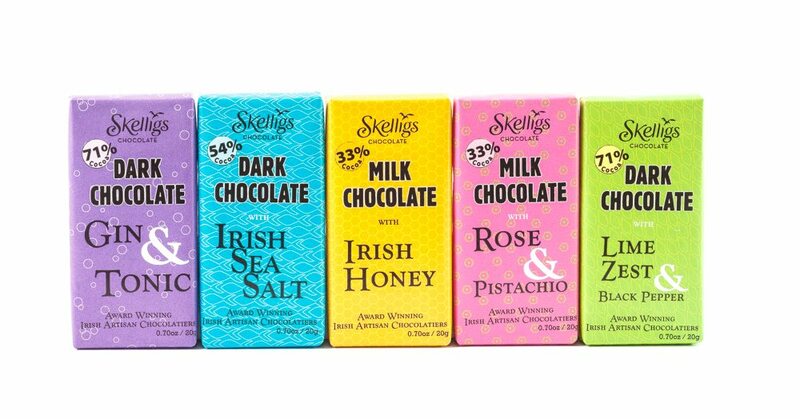 Min cocoa solids 54%.